Despite the orders of Supreme Court, the Karni Sena is protesting against the release of Padmavat. The film was opposed by Karni Sena personnel in a movie theater in Lucknow. After this, the Lucknow Police took out its worker from a showroom and beaten him with sticks. The video of this complete incident has also been shared on Twitter in which two policemen are pulling a man from inside.The worker was spotted lying on the ground and the policeman kept beating him. 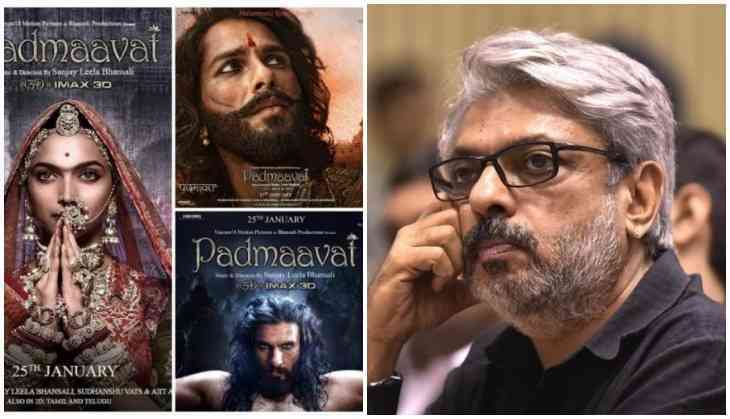 The film, 'Padmavat', was released on Thursday in four cinemas, except for four states, but the movie is still being opposed. In spite of not being able to show the film in Gujarat, Bihar, Rajasthan, the Karani Sena inflicted the fiercely. Terror protests were carried out by torching tires on the highway in Anand district of Gujarat. Despite security arrangements in Jaipur and Udaipur, demonstrators were seen riding the bikes. There has also been talk of making an action plan to deal with this situation. IG Public Grievances Vijay Singh Meena said that instructions have been given to deal with the fiery performance of the rigors. So far, seven accused in Allahabad, 11 in Etawah, four in Kanpur and four accused in Lucknow have been arrested in the case of rioting and tearing off against the film.